Founded in 1959 as an guitar amplifier brand, Carlsbro's products has been used by musicians from The Beatles, Rolling Stones, Mick Jagger and more. 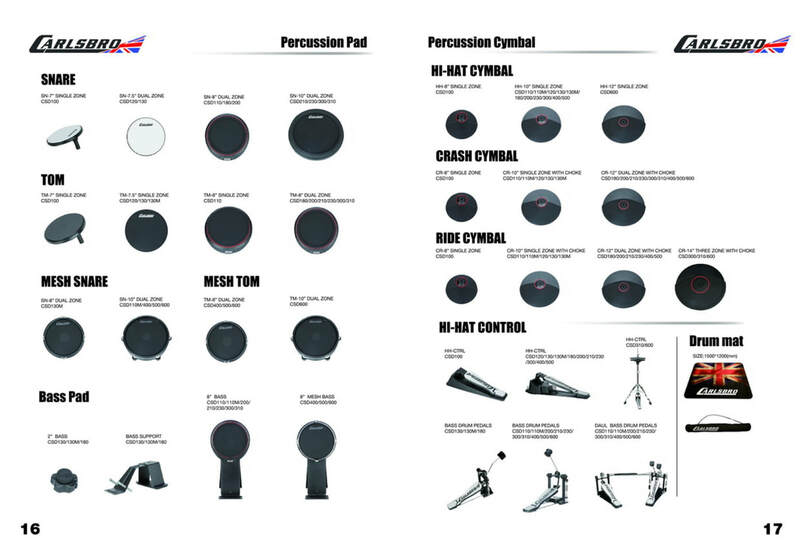 After being close to 60 years in business, Carlsbro has expanded it ranges of high quality products into Electronic Drums while offering superb affordability. All Carlsbro Products are researched and developed in the UK and all warranty are assessed and fulfilled by Carlsbro UK. Founded in 1959, Carlsbro started off making some of the best amplifiers that money could buy. They were used by The Beatles, Oasis, The Rolling Stones & many more! Today, Carlsbro still lives up to its heritage with an all British team at Milton Keynes, England. Electronic Drums are like Mobile Phones, they depreciate in value quickly as new technology suffices. Spending less on a good kit means less depreciation in the future. Fast and hassle free warranty services. We keep numerous spare parts for warranty. Some of which have not been even claimed once! Carlsbro's drums are made by their own factory with quick delivery time. Production, customer services and upgrades are done swiftly. Carlsbro looks at ways to upgrade their drums with every production order, meaning that you will always get the best value. For every purchase of a Carlsbro CSD Drum Kit, we are pleased to offer discounted bundles on lessons at SG Drum Academy. 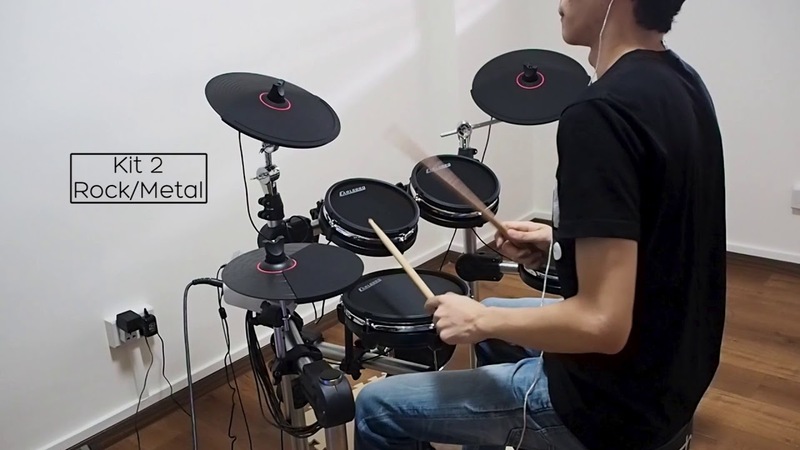 SG Drum Academy was founded in 2016 with an aim to provide quality fun lessons at an affordable rate. Over the years, we have famous drummers whom have graced our academy, including Mikkey Dee (Scorpions), Casey Cooper (Youtube's most popular drummer), Jared Falk (Drumeo), JP Bouvet (Steve Vai) and many more! 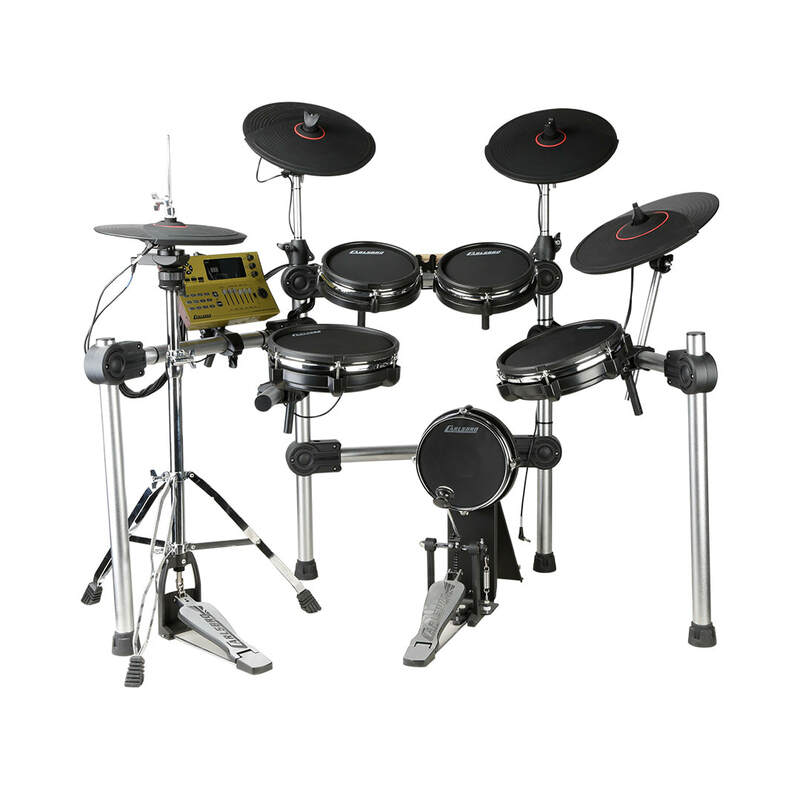 The Carlsbro CSD400 Electronic all mesh head Kit comprises of the Commander 500 sound module, five mesh drum pads (1 x 8” Bass pad with kick pedal, 1 x 10“ dual zone snare and 3 x 8” dual zone toms), three cymbals (1 x 10“ single zone Hi-hat, 2 x 10” Single-zone crash and ride cymbals with choke) features 41 drum kits, 358 quality percussion voices, 20 demo songs 3 band EQ, 2 reverb settings. The CSD400 is three cymbal kit, with four-layer fabric skins for a more realistic playing experience and significantly quieter practice. 358 voices, 41 kits (29 pre-set kits and 12 user customisable kits), Dual Zone Tom and Snare Pads, Single Zone Cymbal and Bass Drum Pads. Comes with Free Bass Drum Pedal, Free Drumsticks and Delivery. One Year Warranty. 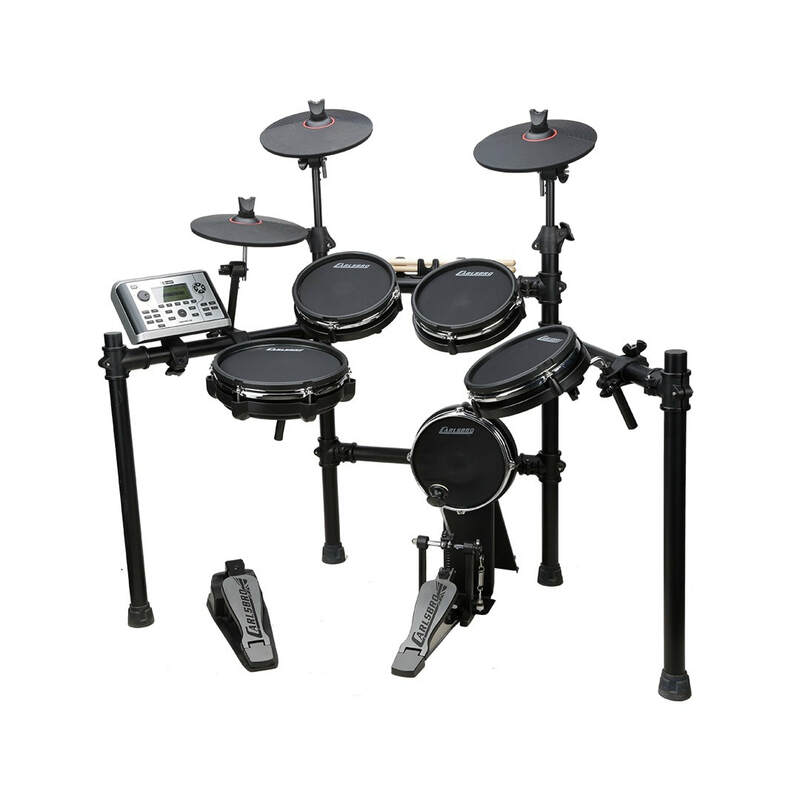 The Carlsbro CSD500 Electronic all mesh head Kit comprises of the Commander 500 sound module, five mesh drum pads (1 x 8” Bass pad with kick pedal, 1 x 10“ dual zone snare and 3 x 8” dual zone toms), three cymbals (1 x 10“ single zone, 2x 12” Dual-zone cymbal) features 41 drum kits, 358 quality percussion voices, 20 demo songs, 3 band EQ, 2 reverb settings. The CSD500 is great for Live performance or studio recording sessions. 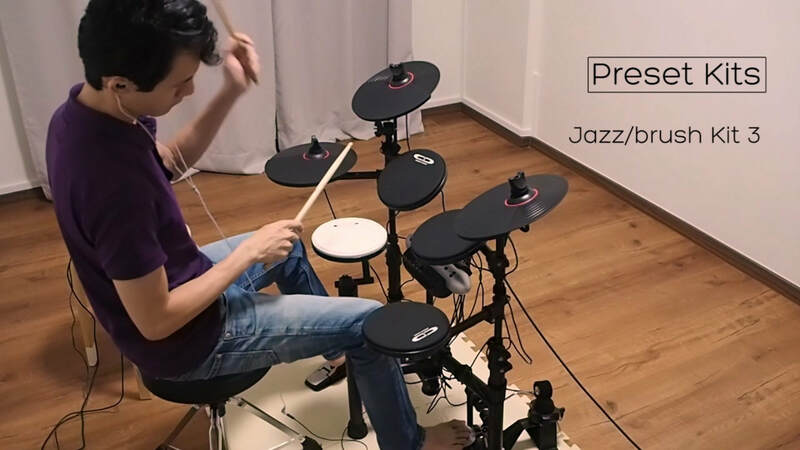 Exceptional value, all pads can be adjusted with a drum key to suit the players preferred acoustic head tension. The Carlsbro CSD600 Electronic all mesh head Kit comprises of the Commander 600 sound module, five mesh drum pads (1 x 8” Bass pad with kick pedal, 1 x 10“ dual zone snare pad, 1 x 10" dual zone tom pad, and 2 x 8” dual zone toms), four cymbals (1 x 12“ Hi-Hat Cymbal with Simulated Choke, 2 x 12” Dual-zone cymbal, 14" Three Zone Ride Cymbal) features 50 drum kits, 408 quality percussion voices, 20 demo songs, 2 band EQ, 6 reverb settings. 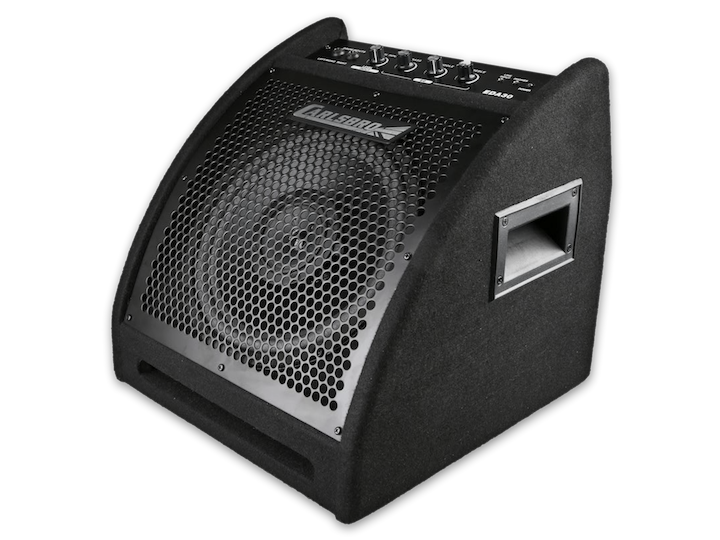 The CSD600 is great for Live performance or studio recording sessions. Exceptional value, all pads can be adjusted with a drum key to suit the players preferred acoustic head tension.